We’ll ensure you have all the details before you arrive so you have the best experience possible. All participants are provided with everything you need. 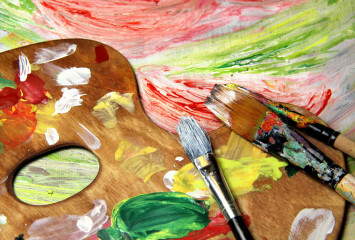 For painting projects, you will get a canvas, easel, paint, brushes and an apron. Food & beverage is available for purchase. An artist provides step-by-step guidance and in just two hours, you will complete a 16″ x 20″ painting with your very own hands. The best part is deciding where to hang it. NO PAINTING EXPERIENCE NECESSARY. AND WE CLEAN UP THE MESS! We accept bookings for private parties any day of the week. 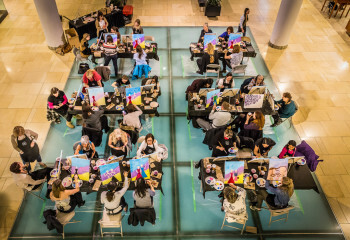 Whether you would like to host your own paint & wine party – a fundraiser- a corporate team builder or children’s birthday party we can help!